Our Assisted Care program is unique to Birchmere. We offer our residents, their families, friends, and physicians’ peace of mind knowing they have the option of multi-level care. Developed out of our community partnerships and our drive to meet the needs of local seniors, our program allows residents to live to their full potential in a home-like setting. Local hospitals often care for individuals who are no longer acutely ill but for various reasons cannot return to their homes or retirement residences. The Assisted Care program at Birchmere allows these individuals to move into a beautiful retirement setting where staff is available; offering security and assistance 24 hours a day. This can include bathing, dressing, toileting, medication administration, medical treatments, ambulation and reorientation. Families no longer worry that their loved ones are alone at night. They are part of a vibrant community of their peers with medical professionals on hand. Since this program was developed, it has expanded dramatically due to its popularity and need in the community. Based on this need, we constantly review the services offered, adding or altering services based on resident, family and partnership feedback. Our goal is to ensure we are providing everything possible to maximize the potential of our residents. 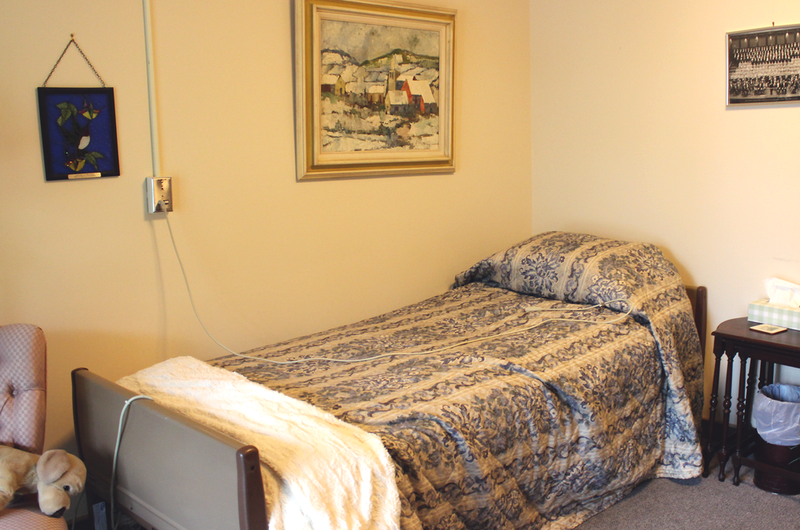 Birchmere Retirement Residence offers a place for you to enjoy your retirement years.